WEATHERING THROUGH POOR COURSE CONDITIONS: Ellie Tate, 12, kicks on the last stretch of LaVern Gibson. 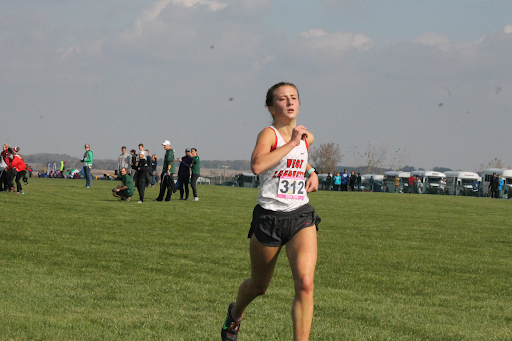 Racing through poor course conditions, she would finish 12th with a time of 18:41, the highest finish by a West Lafayette girl since 2015.“The conditions were really bad this year because it was really muddy. I just kept telling myself I was stronger than the other runners so I imagined I had an advantage,” said Tate. A STAR IS BORN: Alli Steffey, 9, begins nearing the end of her impressive state debut. 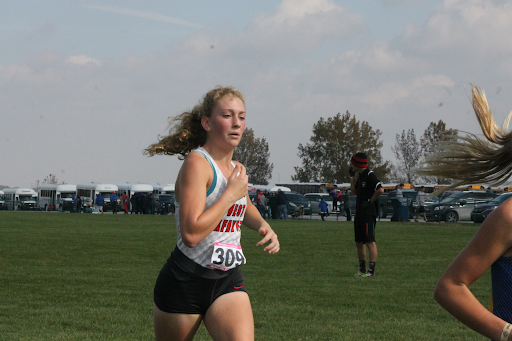 Steffey would cross the finish line with a time of 19:34, and a 68th place finish, the highest by a West Lafayette freshman since 2012. “My outlook for the next few years is positive. My goal is to be in the top 20 at least once during my high school career,” said Steffey. 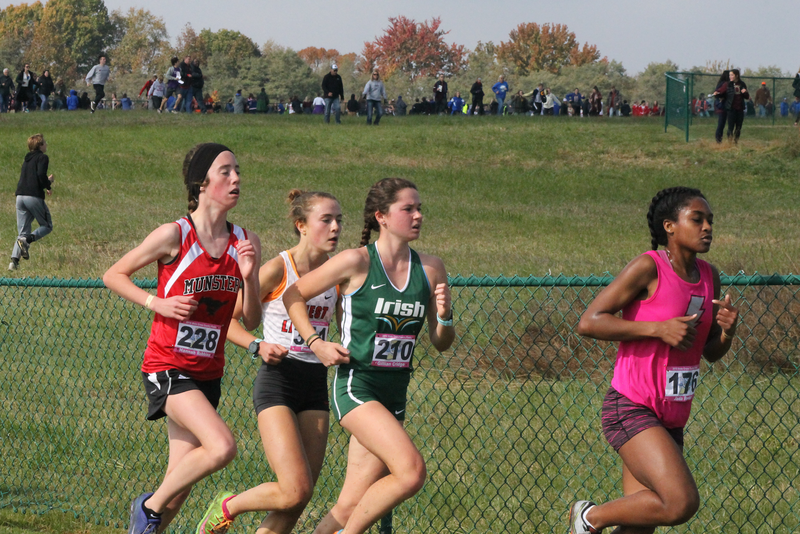 ALL (s)TATE: Emma Tate, 12, is blocked in between other elite Indiana distance runners. 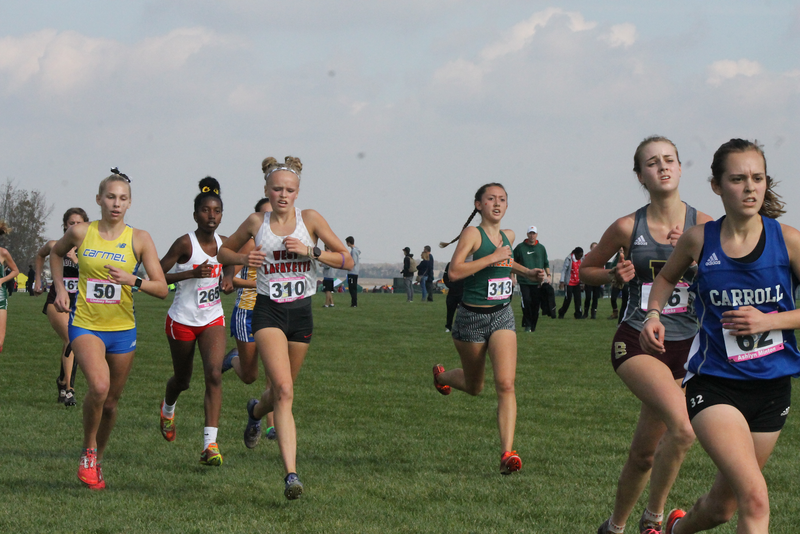 “I had a tough race individually, but did what I had to do,” said Tate, who finished seconds behind her sister, qualified for all state honors after placing 18th with a time of 18:53.